A snapshot of varied Marketing experience in the Real Estate, Food & Beverage, Radio, Transportation, Arts and Music industries. participating musicians, artists and comedians for airing throughout the following year. Tavour is the West Coast's largest online Craft Beer retailer. After years of successful organic member growth, the company was facing a rising need to address the unique purchasing habits of the downtown consumer. The Tavour Pours program is a 360 degree interactive marketing campaign including email strategies, online advertising, social media engagement, physical collateral and on-site pouring events - driving sustained, hyper-targeted member acquisition and retention. Pioneered the first ever formalized Uber/Zipcar partnership to highlight the two services' complementary relationship. Due to the success of #DitchYourKeys, consulted across other major Zipcar markets like DC & Chicago to scale out the model. 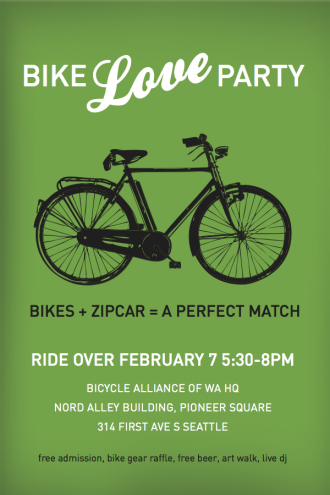 Created perennial partnering program dubbed Bike Love to highlight Zipcar's complementary relationship with all things cycling. Hosted series of parties leveraging support from various partners incl. advocacy groups & reputable Seattle bike retailers. Recruited and managed partners in producing this Seattle City of Music event, unique in that only Seattle musical groups with at least one member working in the food service industry were eligible to perform. Hosted at Showbox SODO, proceeds from this annual pairing of great music, street-style bites, and rock & roll benefited ProStart - a youth culinary organization - and The Vera Project, a youth music organization. Supported Coca Cola in a 3-month, North American test market program for Relentless, an energy drink that had been extremely successful in Europe. Provided a conduit between the CCNA team, the UK brand team and field support teams in other U.S. markets. Provided all necessary field support including logistics, staffing, asset design, and event production.